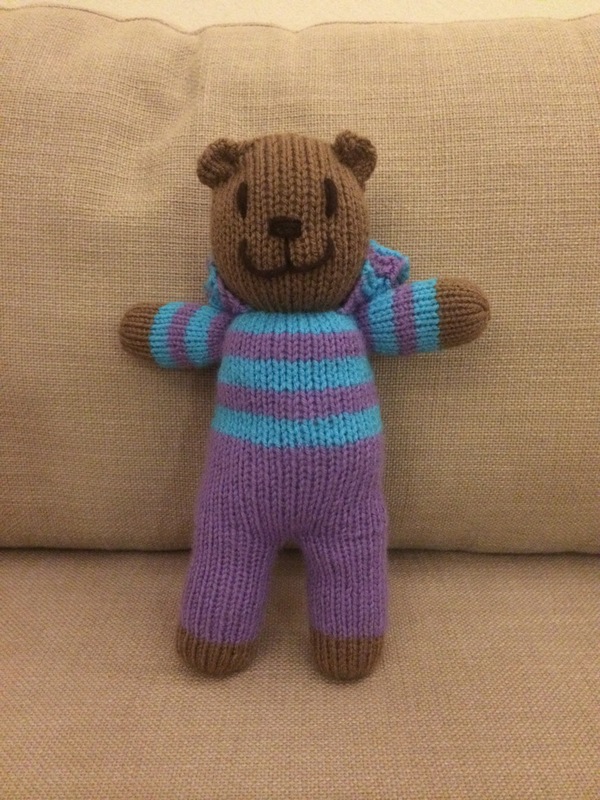 This morning I finished Henry Bear, my latest installment in Mother Bear Project knitting. He is pretty similar to Gloria, as I have a LOT of this yarn to use up! 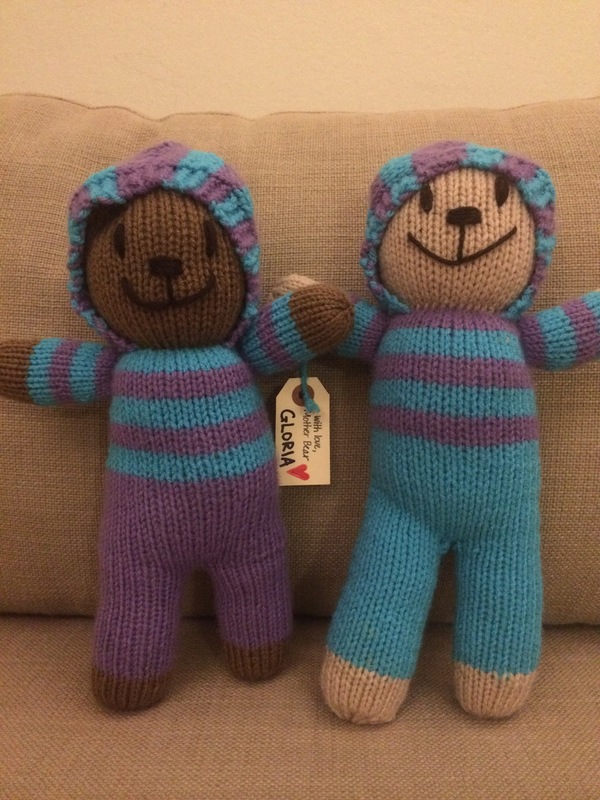 I found it very appropriate to work on a bear today, as Amy (the MBP founder) and my local knitting friend are currently in the air on their way to Sub-Saharan Africa to distribute bears! I can’t wait for news and photos!! !